Anyone with a furnace knows how much trouble a puff back can be. The soot that shoots into your home as a result of misfiring can cause a lot of damage to your furnishings and interiors. Because your home is your sanctuary, we understand that it is important to have a clean and comfortable place to rest and relax. After a puff back explosion you may be tempted to try to remove the oily soot from surfaces in your home yourself. Don’t! Trying to wipe away the grime with conventional cleaning supplies can quickly make things worse. Puff back cleanup must be done professionally using the right materials to effectively remove soot and keep the damage to your home and possessions to a minimum. Rest easy knowing that the job will be done right. The odor problems and health effects that come from smoke residue and soot buildup can be extensive and they are nothing to take lightly. When it comes to restoration services and cleanup, soot can cause extensive damage. This is not a job that should be left to amateurs or those with minimal experience. Our puff back cleanup company wants to be your trusted partner when you need us the most. Time is valuable and with soot buildup as a result of a furnace misfire you have no time to lose. 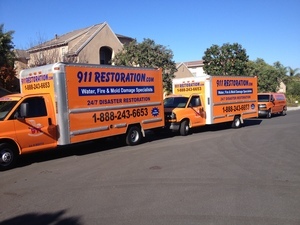 As a trusted expert in the field of restoration services and puff back cleanup Westchester service, we should be your first and only call to get your home back to normal.